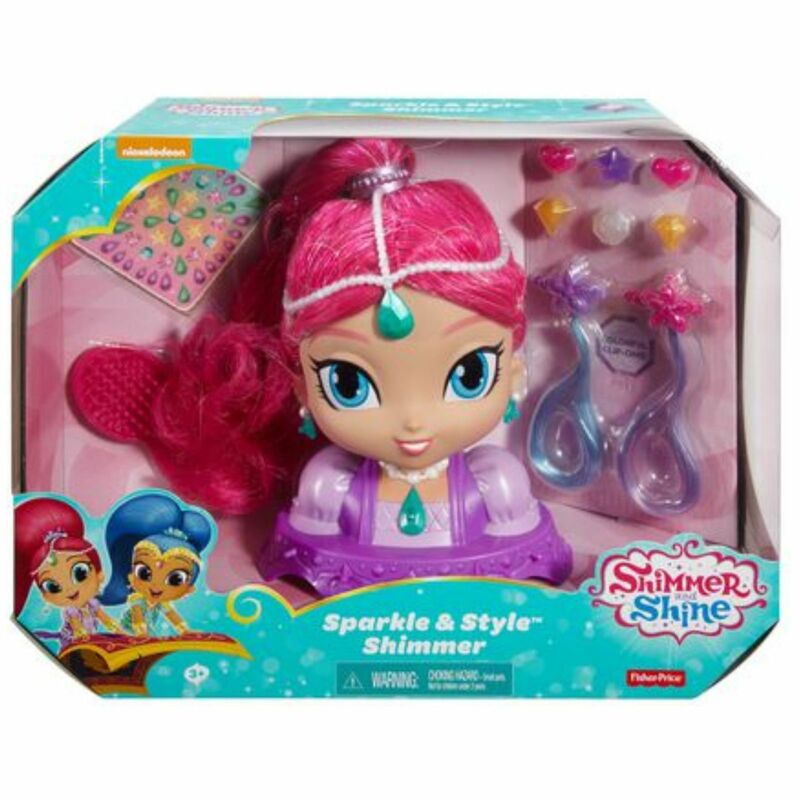 Add a little sparkle and style to their day with a Shimmer styling head! 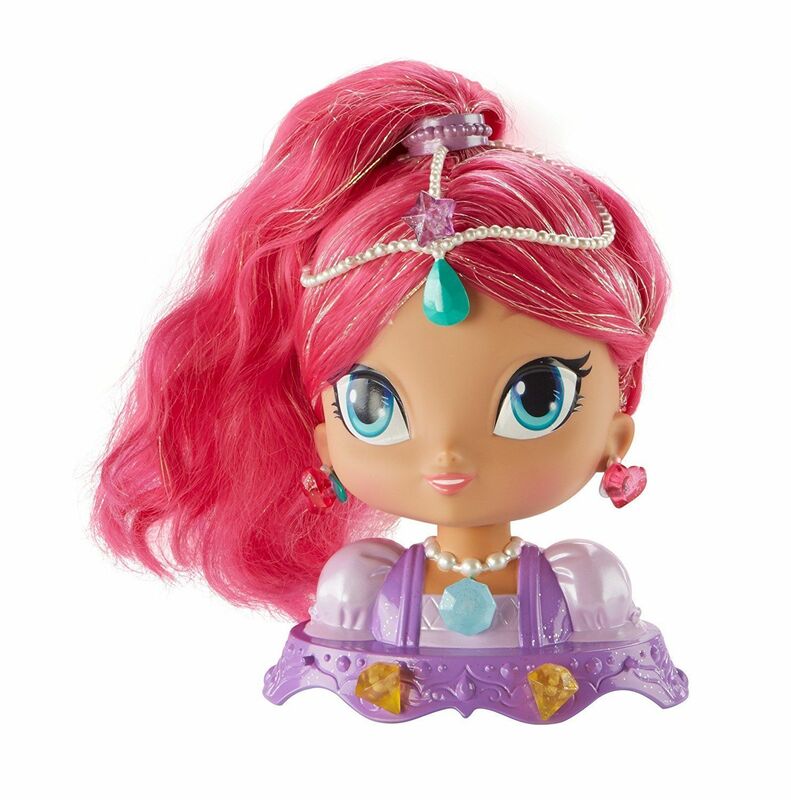 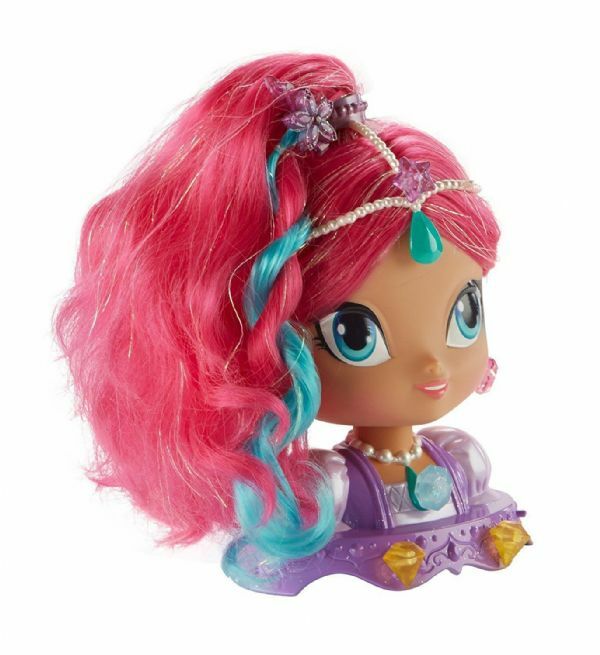 Shimmer's soft pink hair is woven with shiny tinsel strands that little genies will just love -- and they can add extra color and style with the included clip-on hair highlights! 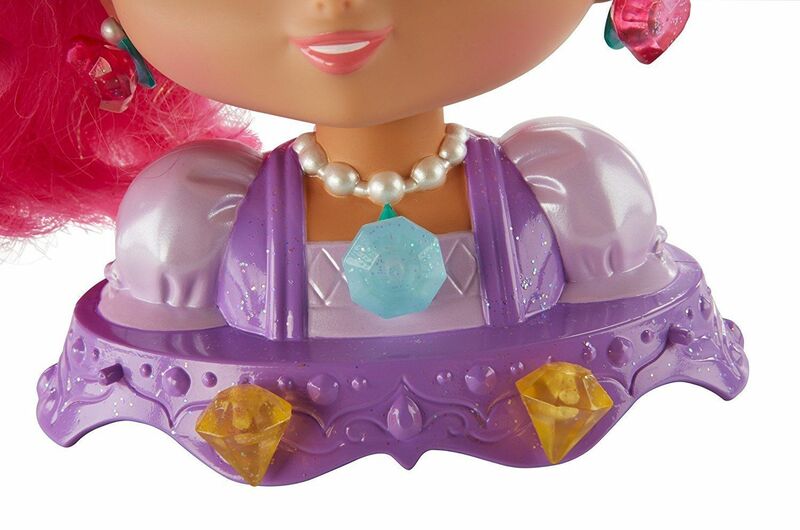 as well as the six jewels that can be used to decorate Shimmer's dress, necklace, headpiece and earrings!